A concentrated exterior shampoo that leaves a protective luster. Contains rinse aids to minimize spotting. 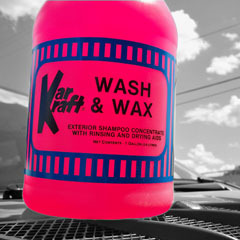 Ideal for maintaining shine on lot cars. Will not strip wax or polish.